A charming and contemporary beachfront boutique, Bali Niksoma is situated on the beautiful beachfront of Legian. Within great proximity of everything including the shopping centre and entertainment area, this resort takes the prize for perfect location. The design and feel of the resort combines modern style with a Balinese twist, getting the perfect balance of culture and contemporary. The architecture is very recognisable, designed by famous architect Hadi Prana, resulting in a striking resort. 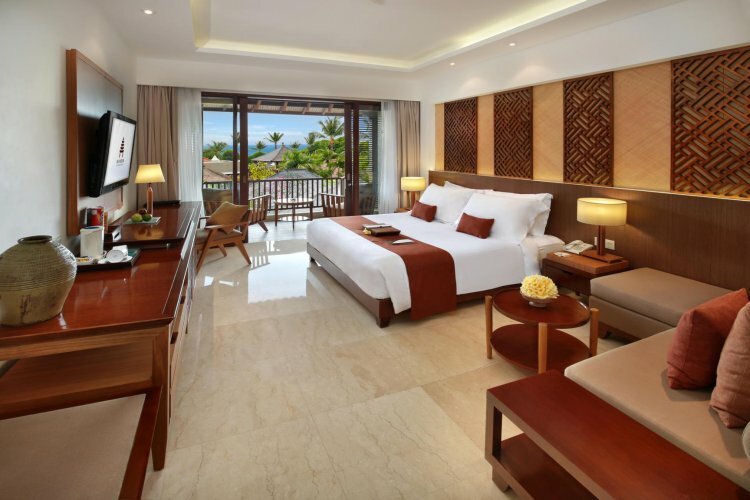 Each room, villa and suite are well-appointed equipped with superb amenities and furnished to a stunning standard. Clean and simple décor combined with the deep wooden furnishings gives the accommodation a fresh and tranquil feeling, creating a haven for guests. Guests are invited to dine at Bali Niksoma and experience their fine dining menu that mixes Asian and Western cuisine. The al fresco setting allows you to enjoy your meal at the beachfront, watching the waves lap the silky sands. The bar also offers a superb selection of cocktails, fine wines and local beers, allowing you to watch the sun set as you sip on a refreshing tipple. Visit the beautiful boutique resort in Bali for a touch of serenity mixed with a wonderful adventure. Surround yourself with nature and completely unwind in this spectacular part of the world.